There’s a whole new thrill to soaring through the skies in a giant air balloon. From the minute you clamber into the spacious basket below the balloon and settle into the wicker compartment, you’ll feel the excitement mounting. The balloon begins to rise and tug at the basket as it fills, and in no time, the ground drops away from under you. The burners gurgle softly overhead, and your view expands ever so quickly, till you are as high in the sky as the birds flying beside you. It’s the flight of your life! And it happens right here, in India. Hot air ballooning in India is a relatively new sport and it’s quite expensive. However, the excitement of riding in a balloon just like we’ve read about or seen in the movies has created a lot of excitement and curiosity, and it is gaining popularity. Hot air ballooning in India takes you to a height of about 2000-4000 feet, depending on the weather. It takes about 4-5 hours for the entire adventure. This allows time for your briefing, to help inflate the balloon (if you want), and to enjoy your trip. The hot air balloon sessions are available only in the early morning and late afternoon, when the skies are changing colour, and when the wind and temperatures are at their best. Rajasthan has a few great options when it comes to hot air ballooning spots in India and one of them is Pushkar. 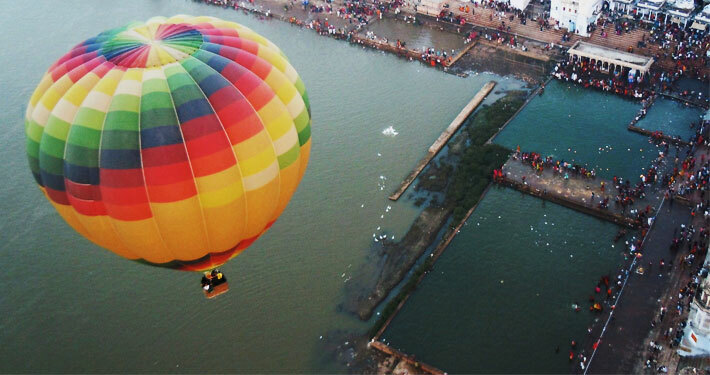 Gear up for the flight of your life, in a large hot air balloon over the holiest city of Rajasthan, Pushkar! You’ll float over the lake of Pushkar, with bathing devotees and crowded ghats, as well as shifting sand dunes. One of the best times for hot air ballooning in India is during the famous Pushkar camel fair. During your flight, you’ll pass over the desert-like beauty of the region around the city, as well as the heritage buildings below and see thousands of camels and a riot of colour on the ground. Find hot air ballooning in Pushkar. One of the best hot air ballooning spots in India is Jaipur. There are few other settings to fly over as gorgeous as Jaipur. Jaipur is a world famous tourist destination, known for its history of Maharajas and their royal lives. Filled with opulent forts and palaces, as well as scenic lakes and outdoor settings, Jaipur is a wonderful location for a balloon ride. This hot air ballooning safari in India will take you floating peacefully past the spectacular Amber Fort from above. 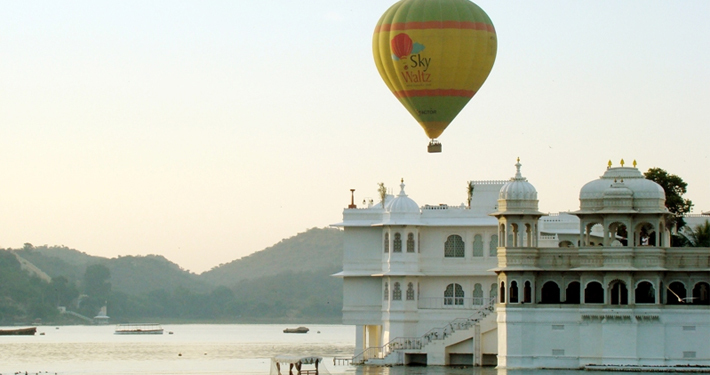 Your balloon ride gives you a unique view of the lakes, heritage forts and palaces of the royals. From the skies, especially during the dusk hours when the setting sun turns the rocks and structures into a delightful blush-coloured paradise, you’ll see why Jaipur is also called the Pink City of India. Find hot air ballooning in Jaipur. Located on the Delhi-Jaipur highway, Neemrana is a small town which is famous for the Neemrana Fort and Palace. This fort was once home to Maharaja Prithviraj Chauhan, and is now turned into a five star hotel. This multi-tier fort hotel has plenty to see from above and is a good hot air ballooning spot in India. The fort is stunning in the early hours of the morning, and during dusk, when the setting sun makes the stones glow. It is surrounded by forests, and has hanging gardens, two swimming pools, and a fascinating tiered structure. You’ll be flying over all this, getting a bird’s eye view of it all. 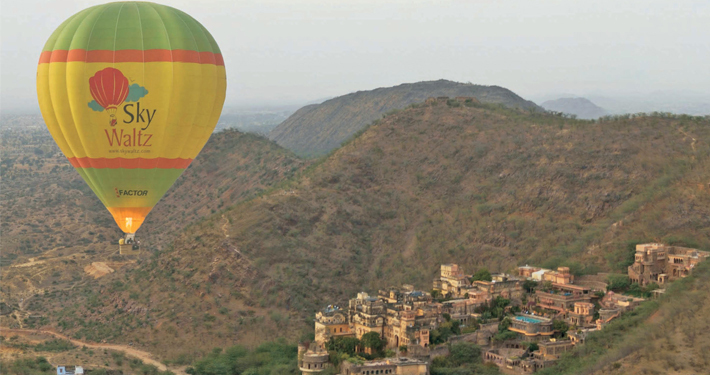 Find hot air ballooning in Neemrana. Ranthambore is a world famous wildlife National Park located about 120 kms from Jaipur. It lies in the middle of the Aravalli hills, so you when you fly, you can expect stunning views. Take this hot air balloon ride over Ranthambore to really experience the expanse of untamed landscape, almost as majestic as its celebrity resident, the Bengal tiger. This is one of the top hot air ballooning spots in India and it starts from the outside of the National Park, and takes you over the forests. While the forest is known to have the largest population of Bengal Tigers, it is also home to leopards, deer, jungle cats, flying foxes, and crocodiles. 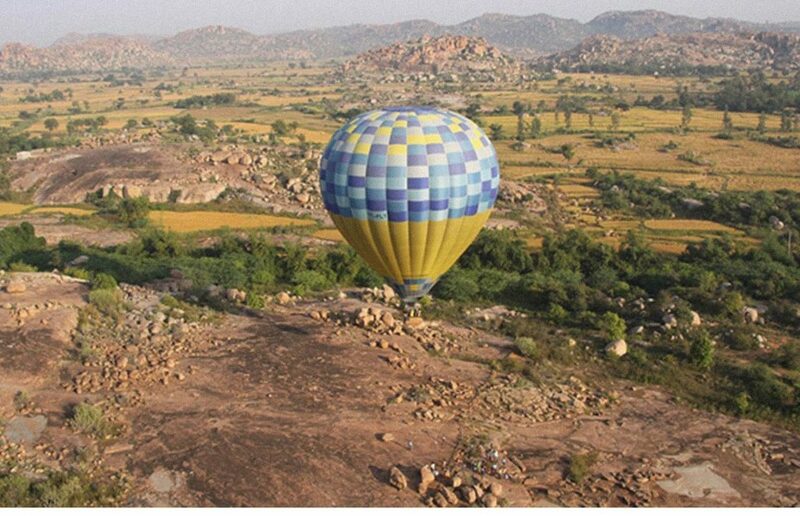 Find hot air ballooning in Ranthambore. Udaipur is known to be one of the most romantic spots in India, with beautiful white palaces with sprawling courtyards, lakes, and winding lanes and is therefore one of the best places for hot air ballooning in India. Udaipur, the royal city of Rajasthan was found by Raja Udai Singh in 1553. It is one of the most beautiful cities of India, with forts and palaces in abundance. Also known as the lake city of India, Udaipur has over 10 artificial lakes, and lavish royal residences that look like tiered cakes. While it is a major tourist attraction and can get very crowded and noisy, you’ll only see the best of it during a sunrise or sunset balloon ride. On winter flights, when the mists still hover over the lakes, this balloon ride will be an experience to cherish forever. 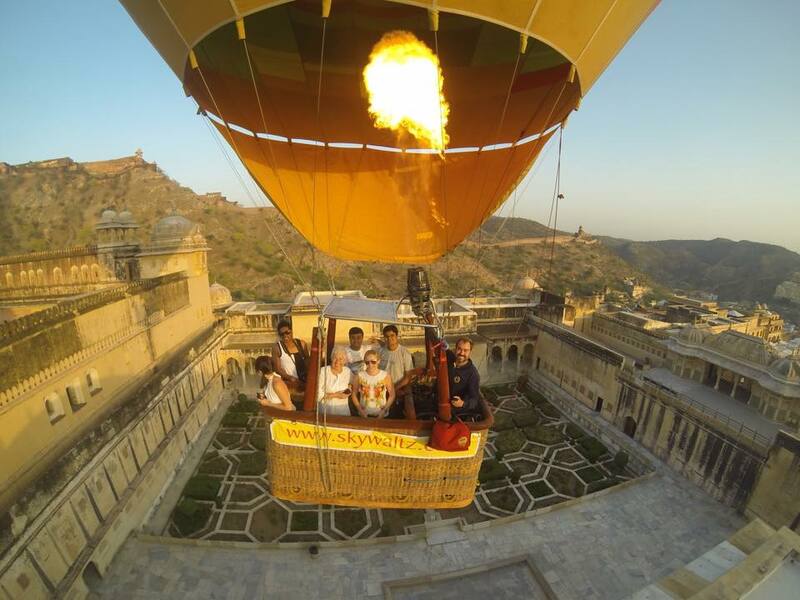 Find hot air ballooning in Udaipur. Lonavala is one of the most famous hill stations of India. Known for its rolling hills and forts, it is a popular hub for holidaymakers and adventure-seekers from the surrounding cities. The balloon safari will take you on a flight and give you a view you would not want to miss. 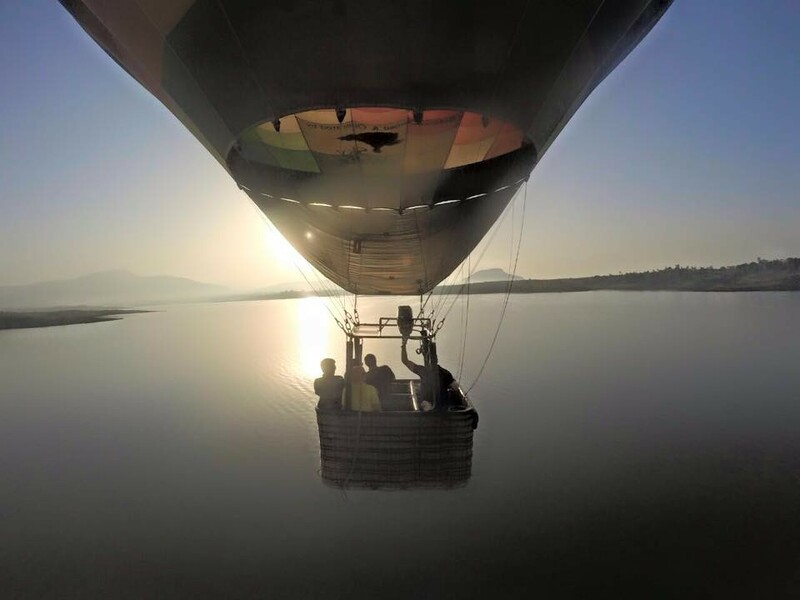 It is a good spot for hot air ballooning in India and from the balloon, you’ll be able to see lush fields, mist-covered lakes, waterfalls tumbling down the sides of tall cliffs, and the undulating valleys of the Sahyadris. Find hot air ballooning in Lonavala.